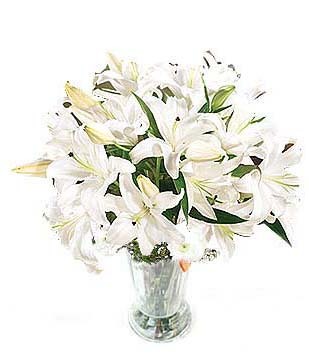 Lilies have a stunning appearance and a sensational aroma. 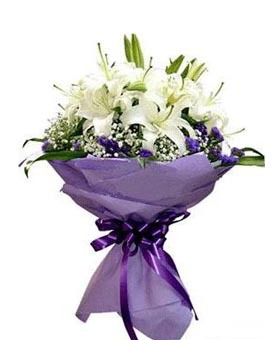 They are a symbol of purity, honour, friendship and devotion. 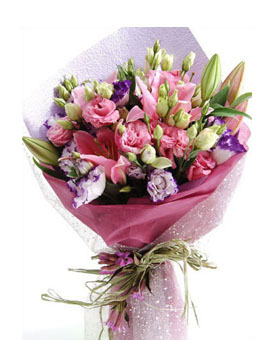 Lilies are vibrant and long-lasting flowers and make flirtatious arrangements. 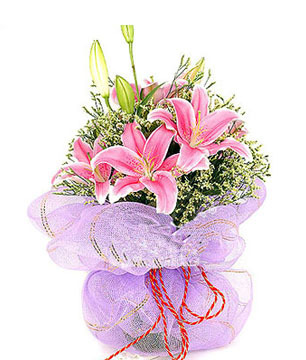 Sending lilies will express your deepest sentiments. 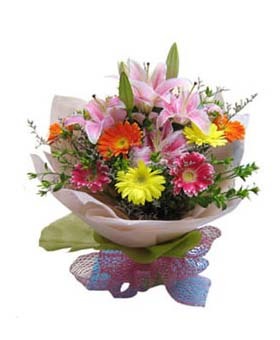 12 gerbera (red, yellow and orange), 3 pink perfume lily(many-headed), high-end packaging.